Photography is a medium of record, an art form, a modern social shorthand and a business tool. From my personal perspective however, photography is all of those things and much, much more. It is a motif that has been a constant element of my life from an early age. And so on World Photography Day, I thought I would celebrate what photography means to me. I have picked out some images on the timeline of my life that illustrate my journey with photography. I became interested in photography when I was about 13 or 14 years old in the very early 1980s. I had a small Kodak Instamatic camera which took 126 rolls of film and I began taking photographs of the usual things – friends, family, holidays. However I found it annoying having to get the film developed at the chemists, so I started doing it myself. I scrounged together enough cash to get the basics (developing chemicals, spools, tongs and a cheap enlarger) and I would develop my images in the family bathroom with a couple of towels pinned up against the small window. It undoubtedly wasn’t completely dark but it never seemed to affect the process in any noticeable way. Photography became a way for me to deal with some of my gremlins. It wasn’t a commonly diagnosed condition when I was a kid but I would later find out that I was autistic. Another condition that you wouldn’t commonly have found your doctor proposing back in the 1970s was depression but, like many of my family members, I suffered from it and it would have a great impact on my need for and use of photography over the years. Very few of my early efforts exist and one of the few that does (of me striding manfully along wearing a prized sheepskin jacket) I couldn’t track down despite going through eight boxes of keepsake photographs. Hey ho, it’ll turn up. So let’s talk about my first meaningful image. In this photo I am a fresh-faced 20 year old. 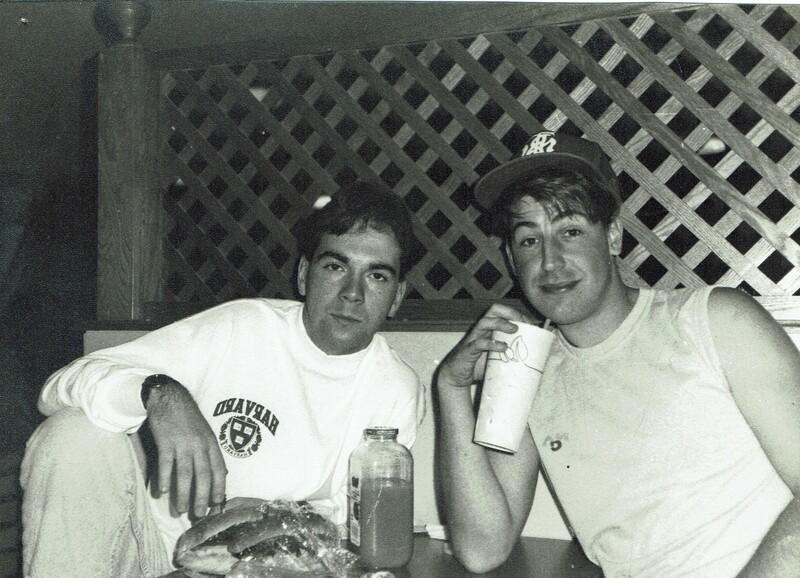 I am at college in up-state New York and eating lunch with my fellow Englishman and housemate – John Marr. While I was over in the states I made the most of the impressive college facilities by better learning how to take and develop photos. I took this shot myself with the camera on a tripod using a funky little self-timer mechanism. I then developed the shot in the college newspaper’s darkroom and printed it myself on Ilford paper. I love the grain in this image, which is the real deal, not some stuck-on effect. At this time I was writing my thesis on Investigative Journalism and writing and photography would go on to be a key element of my life. Unfortunately the ravages of time have not been kind to my next choice, which is one of the first landscape photographs I ever took. 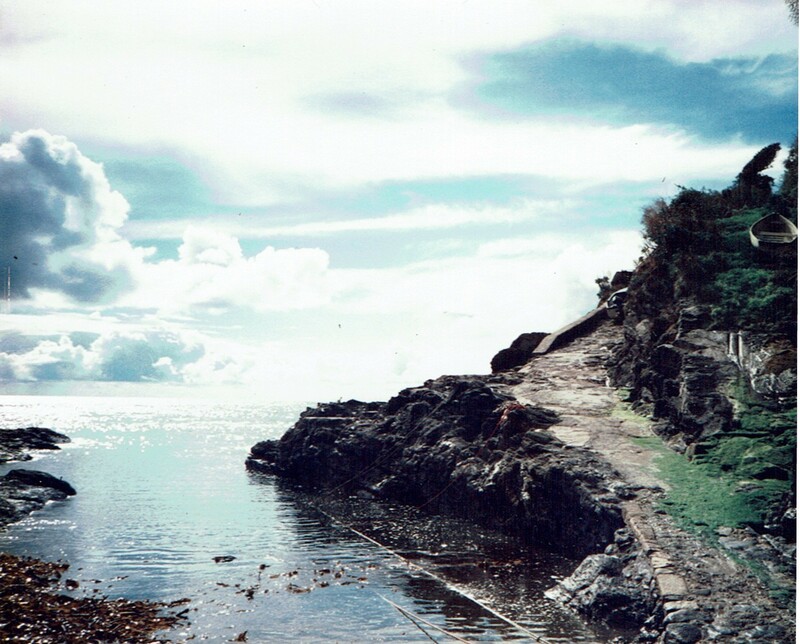 This was shot on a little disposable Kodak camera, so the quality isn’t the best, but there’s still something magical about this scene to my eye that transports me ( in the way that photography can) back to this small Cornish cove we discovered one magical summer holiday. There is something so timeless about this image, so dreamy, that it’s no wonder it has been on the wall of our bedroom since we took it. Looking at it now, the faded colour and worn patina of the photo actually adds to its charm from my perspective. I’m not big on portrait photography, or indeed any kind of people photography to be honest, but I obviously make an exception for my beautiful wife Catherine. 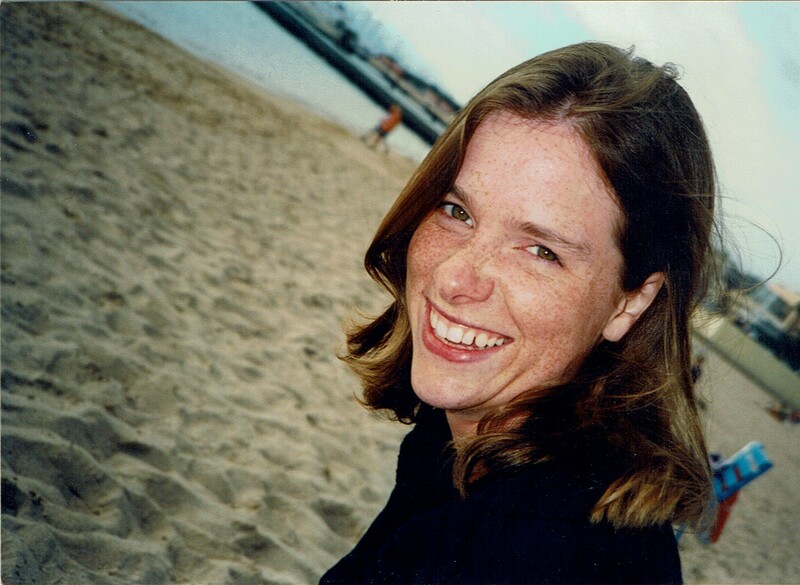 This photograph was taken on our honeymoon in Nice in the south of France, 21 years ago. We got married in October so it wasn’t the peak tourist period on the Cote D’Azure and consequently we had many of the famous beaches mostly to ourselves. Again, this photo illustrates to me how powerfully it can transport you back to a moment in time with amazing clarity and it brings me to dwell on the journey we were setting out on together in married life and all the ups and downs that would follow this moment. For the first 15 years of my working life I was a journalist. I worked on technology and computer magazines and, consequently got to play with the (then) very new technology of consumer digital cameras. I was lucky enough to have access to some really early models and I found it fascinating watching them evolve. As the technology matured I decided it was high time I bought my own camera rather than using loaners from work, so I bought myself a little Canon Powershot G6 which came out in 2004. I spent a long time experimenting with that camera and loving the freedom that digital camera technology gave – no worrying about the cost of developing, no worrying about ‘wasting’ exposures – just take as many shots as you want and learn from your mistakes. 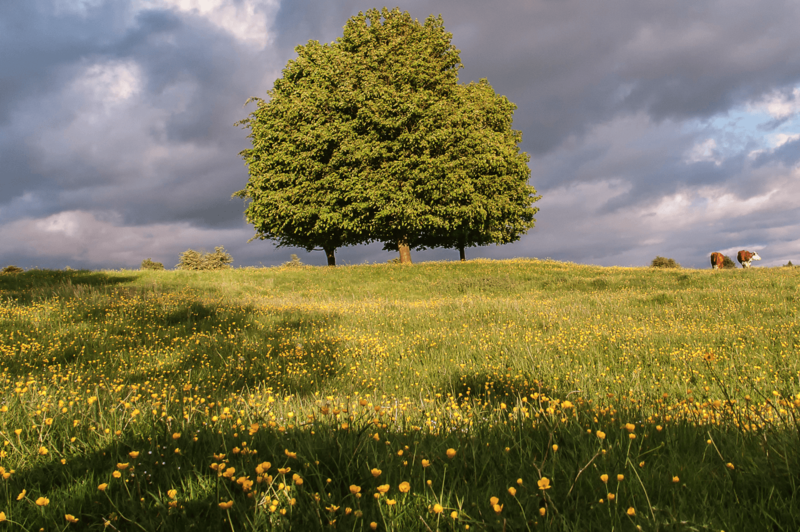 This particular shot was taken on that G6 on Minchinhampton Common near to my home of the time in the Cotswolds back in 2004. It was one of those times when I was driving past the scene, saw some amazing light and stopped to take a photo. By 2010 my afore-mentioned personal gremlins made pursuing photography all the more valuable and I used landscape photography as a way of dealing with depression and autism. On my birthday back in 2010 my wife Catherine surprised me with an incredible present – a shiny new Canon 550D DSLR camera with a twin lens kit. 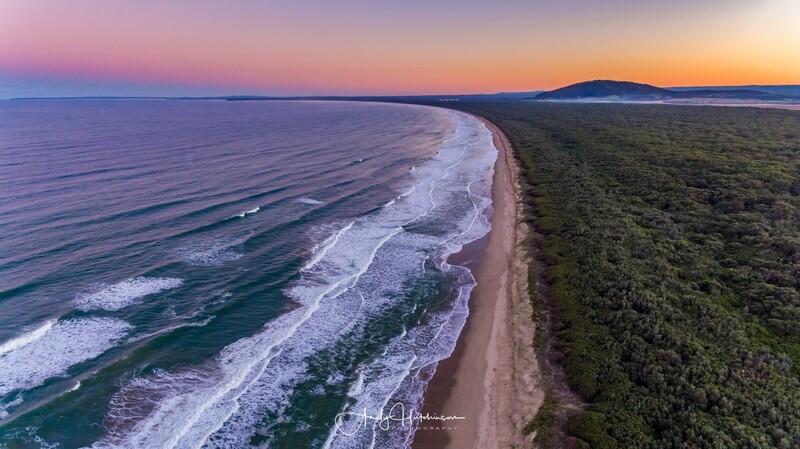 I was blown away by that camera and the sort of images it produced and just about wore the shutter out on it, taking photographs out in the amazing landscape of south coast NSW where we lived. 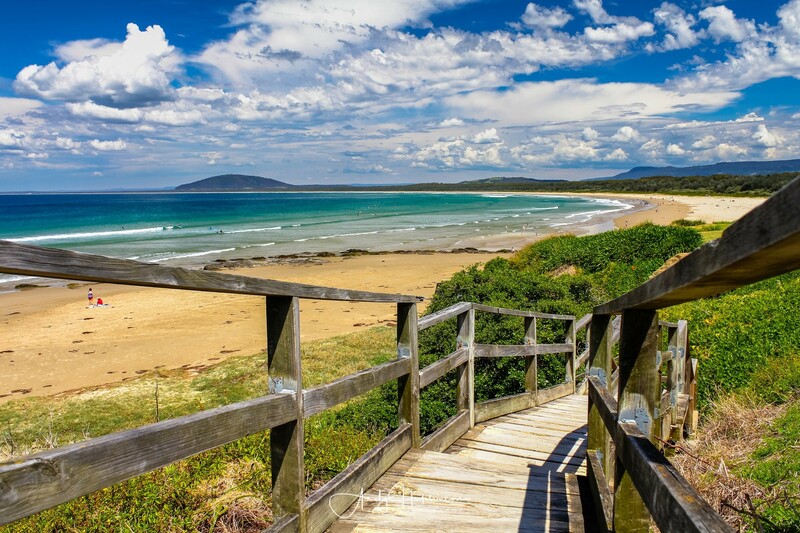 This is one of the first landscape shots took with the 550D, of Seven Mile Beach in Gerroa, back in 2010. You could stand in the this spot today and taken a near identical photo, which is not something you could say about many locations in this rapidly changing region. By 2014 I had reached the limits of what I could do with that 550D – in particular I hated the noisy images associated with any ISO above 400. I had reached a point where my photography was starting to get noticed and I had begun selling images to businesses and tourist organisations. In short, it was time to update my camera and the most cost effective way for me to do that was to stick with the cropped sensor Canon DSLRs (so I could retain my lenses) and so I bought myself a Canon 7D Mark II. 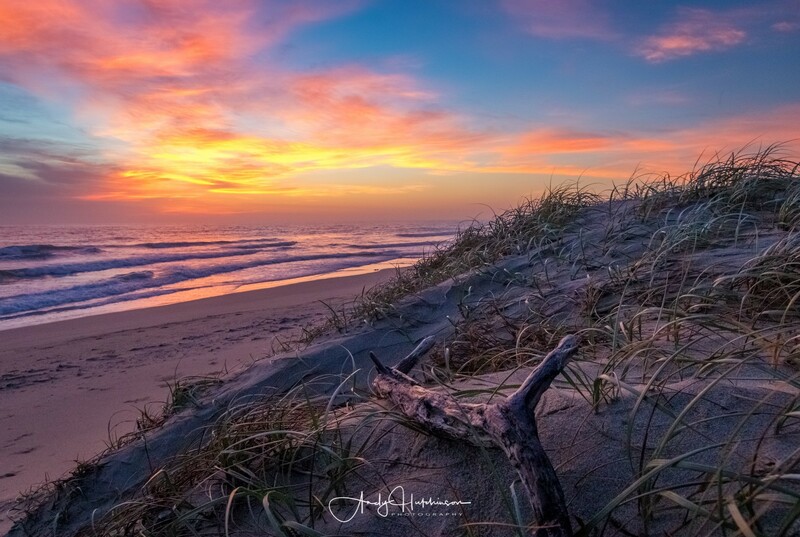 This was one of the first images I took with the 7D2 – a tone-mapped image from three bracketed shots, taken hand-held at dusk on Seven Mile Beach. Thanks to the much quieter sensor I could usually ditch the tripod and just shoot hand-held which was incredibly liberating. I had wanted a drone since about 2012 – I was convinced that they were the future for photography and I approached several prestige real estate agents in Sydney with a view to producing aerial footage for them. Unfortunately at that time the drones came in massive flight cases and cost about $25,000 and I couldn’t make the numbers work in terms of a business investment, so I had to put my plans on hold. In fact I had to wait until 2016 before I got my first drone, which was a DJI Phantom 4. This is one of the first landscape shots I took with the drone, down on my local beach. Everything I had envisioned about drone photography was right and I loved being able to experiment with amazing new angles and viewpoints. 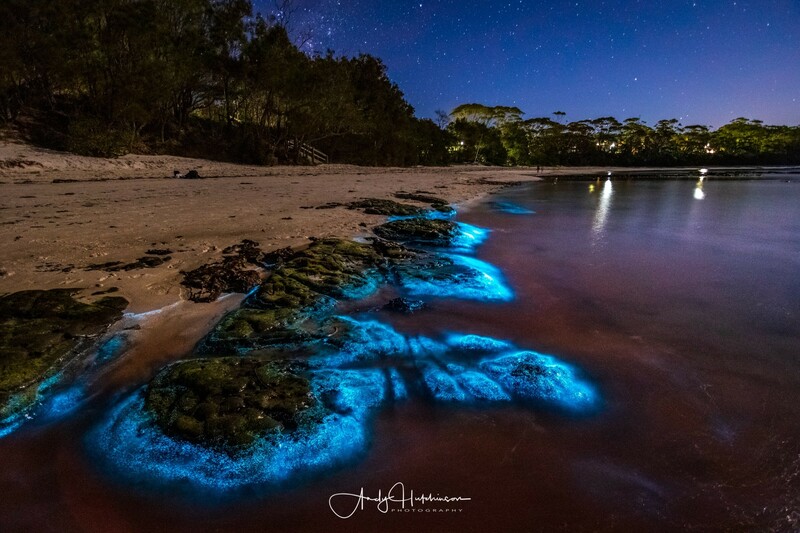 Which brings us to the present day and here is the most recent photograph I took, of the bioluminescence in Jervis Bay, on my 7D Mark II. At worst, photography gets me out of the house – rather than sitting on the sofa watching TV, Catherine and I went down to the beach in the middle of the night to photograph this amazing natural spectacle. At best, photography gives me a coping mechanism and lets me get away from people and spend some time in my own company seeking out interest stuff to photograph. Cheers photography, here’s to the next 178 years.